By 2012, Dieter Moebius was regarded as one of the most important, innovative and influential musicians in the history of modern German music. His career began in the late sixties, and had spanned six decades. During that that time, Dieter Moebius had been a member of three groundbreaking groups Kluster, Cluster and Harmonia. He had also collaborated with many artists and enjoyed a successful solo career. However, Dieter Moebius’ solo career had to fit round his many other musical commitments. As a result, solo albums were sporadic. 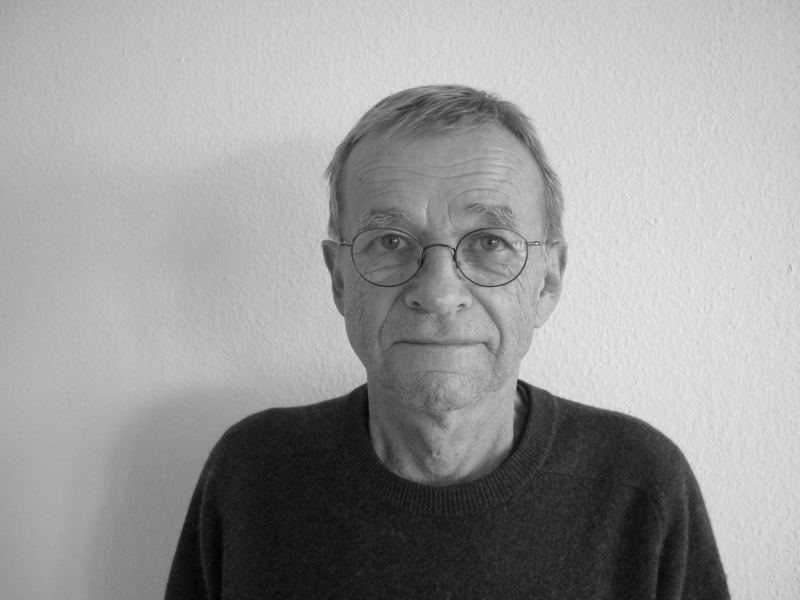 In total, Dieter Moebius had released just five solo albums, including Ding which was released a year earlier, in 2011. Soon, though, Dieter Moebius was about to start work on a new and exciting project. Dieter Moebius had been invited to perform music to accompany a screening of Fritz Lang’s legendary silent film Metropolis. For the screening, Dieter Moebius began work on producing new tracks and samples. These would played on the night and treated with a myriad of effects during Dieter Moebius’ improvised performance. His performance was planned so that it would provide the soundtrack to what was happening on the sliver screen. The Metropolis project took a lot of planning, but it was well worthwhile. When the day of the screening of Metropolis arrived, Dieter Moebius made his way to the venue. With him, he took his array of equipment which he planned to put to good use that night. That was the case. It was a masterful and triumphant performance from Dieter Moebius, as he provided the perfect soundtrack for Metropolis. It had highlighted the drama and tension of Fritz Lang’s classic film. Buoyed by the success of his performance, Dieter Moebius began contemplating the next part in the Metropolis project. All along, Dieter Moebius planned to record a full-length album featuring the music from the Metropolis project. When the new album was completed, it would become Dieter Moebius’ sixth solo album Musik für Metropolis, which was recently released by Bureau B. Recording of the album began later in 2012. Dieter Moebius headed into his studio to begin work on Musik für Metropolis. The basis for the album would the music he had prepared for the Metropolis project. This would be a building block for Musik für Metropolis, which would feature four lengthy tracks lasting roughly ten minutes each. It was an ambitious project, given Dieter Moebius had to create cinematic music that portrayed the drama of Metropolis’ narrative. However, Dieter Moebius had a lifetime of musical experience to draw upon. This proved invaluable as sixty-eight year old Dieter Moebius began writing and recording the music that would later feature on Musik für Metropolis. Dieter Moebius still had an insatiable appetite for music, and continued to work on other projects. That had been the case throughout his long career He had always juggled several projects successfully, and it had never once affected the quality of music. Gradually, the music for Musik für Metropolis started to take shape. Then tragedy stuck, when Dieter Moebius was diagnosed with cancer. Suddenly, music didn’t matter any more. Dieter Moebius was fighting for his life. He battled bravely against cancer, fighting for his future and very life. Sadly, Dieter Moebius died on ‘20th July 2015’ after what had been a brave and lengthy battle against cancer. He left behind a richest musical legacy. This included the albums he released with Kluster, Cluster and Harmonia, plus his many collaborations and five solo albums. Sadly, one album remained unfinished, Musik für Metropolis. It was the album that Dieter Moebius had been working when he was diagnosed with cancer. Maybe not for much longer though? Two of Dieter Moebius’ friends and longtime musical partners had been discussing trying to complete Musik für Metropolis. To do this, Tim Story and Jon Leidecker would require the permission of Dieter Moebius’ widow, Irene. She granted her permission, and was fully supportive of the project. Over the next few months, Tim Story, Jon Leidecker and Berlin based musician Jonas Förster worked on the Musik für Metropolis’ project. Eventually, it was completed and was released by Hamburg based record label Bureau B. Musik für Metropolis was a homage to the memory of Dieter Moebius. As Schicht opens Musik für Metropolis, an industrial sound unfolds. It finds replicates the sound of the underground machines that powered the city of Metropolis in Fritz Lang’s film. Although it was released in 1927, the futuristic city was set in 20006. Soon, a bristling sound replicates electricity, while beeps and squeaks add a futuristic sound. Later, a crackling sound is added as the sound of thunderous machines adds to the drama and tension that builds. Sometimes, otherworldly sounds emerge from the cinematic soundscape. When beeps and squeaks are added, it’s as if they’re tapping out some secret message. Meanwhile, crackling, growling, whining, burring sounds add to the drama before the soundscape is transformed. After the darkness, comes light as the music becomes melancholy,melodic and thoughtful, allowing the listener to reflect on this filmic eleven minute epic. Otherworldly and unsettling describe the introduction to Moloch. A droning sound soars above the soundscape, while chattering industrial sound combine with a myriad of metallic, futuristic and otherworldly sounds. They flit in and out, adding to the drama. Meanwhile, sounds buzz, beep, scratch, screech and reverberate. Later, shrill, eerie and metallic sounds emerge from the soundscape. Constantly, the tension builds and there’s a sense of unease. That is the case as metallic, grinding, beeping and futuristic sounds emerge from the soundscape. So does a roaring sound. By then, it’s as if Rotwang’s robot has come to life, but is malfunctioning and is out of control. Searing, bellowing, otherworldly and industrial sounds give way to futuristic and sci-fi sounds, on this captivating soundscape. Tiefenbahnen has a futuristic, edgy and otherworldly sound as the soundscape unfolds in waves. A drone is joined by washes of shimmering synths before bells jangle. Soon, a bristling, eerie sounds are joined by urgent squawking sound. Is this a warning, or the signal for the workers to rise up and destroy the machines? Still the soundscape bristles, quivers and pulsates before the bells ring out again. This is a signal for the drama to build. Thunderous drums reverberate, replicating the sound of machinery while bells ring. They unite and become one until the drums disappear. All that remains are waves of bristling, crackling, eerie and futuristic sounds unfold as this cinematic soundscape prowls along menacingly. It’s without doubt, the highlight of Musik für Metropolis. Metallic, growling, bubbling and bristling sound combine on Mittler to create a mesmeric backdrop. Soon, otherworldly, futuristic sounds chatter as a bell rings and the soundscape bristles and bubbles. They’re joined by jarring, metallic, otherworldly and industrial sounds emerge, as the soundscape flows along. Then the sound of a machinery is replicated before buzzing, drilling, jarring, grating, metallic and bubbling sounds all add to the drama. Eventually, the sound of the machinery imploding can heard, after the workers rise up and destroy the machines. Having destroyed the Heart Machine, the city floods. This sound is replicated and proves a poignant ending to this soundscape which closes Musik für Metropolis. 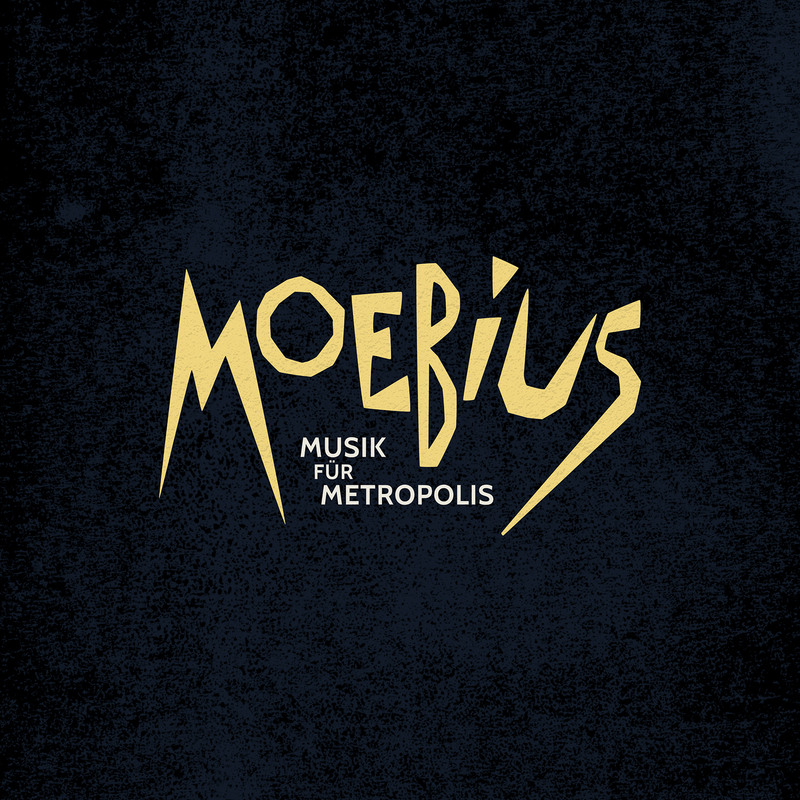 Just under two years after the death of Dieter Moebius, Musik für Metropolis was released. It was completed by Tim Story, Jon Leidecker and Jonas Förster. This was their way of paying homage to a true giant of modern German music, Dieter Moebius. He spent six decades creating groundbreaking music. That was the case from his earliest days Kluster right through to Musik für Metropolis. It’s another ambitious and genre-melting album, where Dieter Moebius, fused disparate musical genres. Elements of ambient, avant-garde and the Berlin School rub shudders with drone, electronica and experimental music. That is not forgetting industrial, Krautrock and musique concrète. They all become part of a musical tapestry, that is Musik für Metropolis. It was woven by the late, great Dieter Moebius. He created four soundscapes that are variously atmospheric, dramatic, futuristic, melodic, menacing, mesmeric, poignant and full of tension. Always the filmic music on Musik für Metropolis captivates and compels as Dieter Moebius paints pictures with music. This he does throughout Musik für Metropolis, which is a cinematic epic from one of the most important, innovative and influential musicians in the history of modern German music, Dieter Moebius. ← OREGON-OUT OF THE WOODS AND ROOTS IN THE SKY.